Nowadays, we live in an interdependent, more informed and connected world. Now, many potential buyers have easy access to hundreds of customer’s review, who previously had used a specific product. Several of these reviews can be determinant for a person when deciding which brand to choose and buy. Companies have to be aware that now the web could easily either, bring more customers to their companies or just push them away from their products and failed in the market. This was the case of Dell, the company’s policy and bad customer service made several customers to complaint through the web, pushing the company to hell. Why did Dell go to Hell? Dell remained silent even knowing that there were several people in the outside world complaining about the companies’ customer service through different media such as blogs. While the flames of “Dell Hell” burned, Dell Inc. played the fiddle and did nothing. The company refused to comment on any of Jarvis’s blogs and press statements regarding the incident. Instead, Dell closed its online customer forum. Dell knew what was being said about them it was company policy to look but not touch. In the eyes of Dell, blogging did not have that much credibility. Dell knew that there were many customers complaining about its customer service; however, they did not pay attention to what people were writing because they never thought those complaints were going to hurt the company’s performance. They never measured the impact that social media could have in Dell’s performance. What Dell should have done to avoid the “Hell”? 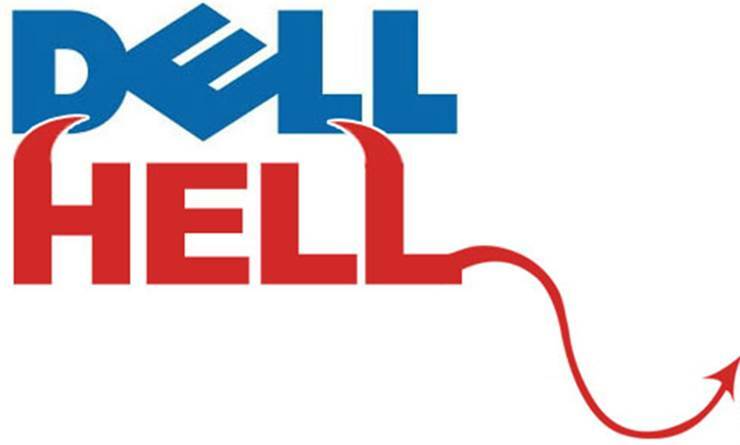 The “Dell Hell” episode serves as a useful model for the corporate approach to both social media and consumer relations. After looking at this case, it is quite easy to understand that companies need to take the time to listen to what is being said about their organization particularly online. In the online world, it is really easy to see what customers are thinking about the company. Having an online presence and listen customer’s feedbacks allow the companies to improve their weaknesses and be able to satisfy potential and current customers in a near future. It is here where companies have to put their money and efforts. Dell’s case has taught many companies that it is important to interact with the customers through social media tool’s usage. There is no better way to discover customer’s needs and satisfaction than interacting and listening to them.